Google I/O is an annual developer conference held by Google in Mountain View, California. 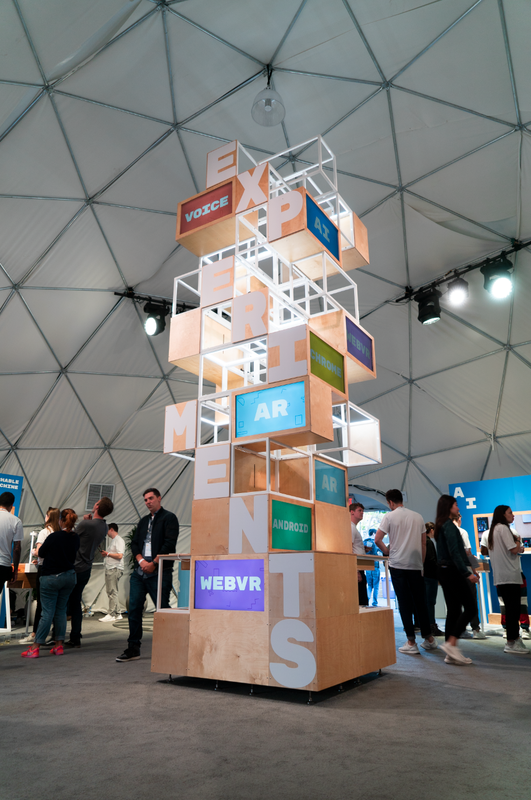 Google Creative Lab created the centerpiece of the Experiments With Google sandbox tent at I/O 2018 and I had an great opportunity to make a two minute loop of animated and video content synced to play across sixteen screens, with no two screens repeating. Printed business cards representing a selection of projects from the Experiments With Google platform could be scanned by users to get more information. We used a custom machine learning algorithm to recognize different cards, and the totem would react by displaying content specific to the selected experiment. The totem in numbers: 16 feet tall, 16 screens, over 650 pieces of pre-rendered content, 113 experiments, 6 experiment platforms, and over 10,000 printed cards.